I haven’t been reviewing many books outside of my scheduled reviews this month, but yesterday a package of books arrived from Moon Books. The first of those that I’ve chosen to review is this book, since today is official publication day. Known by many names and with a wide array of characteristics Odin is a God who many people believe is just as active in the world today as he was a thousand years ago and more. A god of poetry he inspires us to create. A god of magic he teaches us to find our own power. A god of wisdom he challenges us to learn all we can. 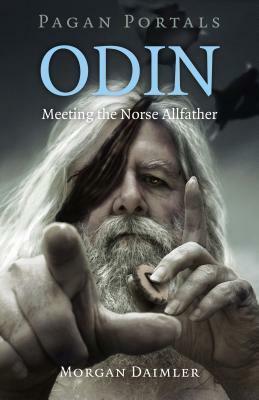 In this book you will find some of Odin’s stories and history as well as anecdotes of what it can be like to honour him in the modern world. A decent introduction to Odin, a good blend of academic, historical mythology and modern interpretations leavened with personal experience. The sources on Odin are extensive but Morgan Daimler manages to synthesise them into a useful form for those who want to add to their knowledge of mythology and modern pagan practices, or are drawn to this god. The bibliography is extensive and the books included are reputable, providing a route forward for those interested in getting to know Odin better, or to learn more about the mythology. 4/5 – Definitely better than 90% of the texts I’ve seen on the subject.